Thanks for visiting my page to read about me and the services I can offer to help you with any behaviour problems you may be having with your dog. 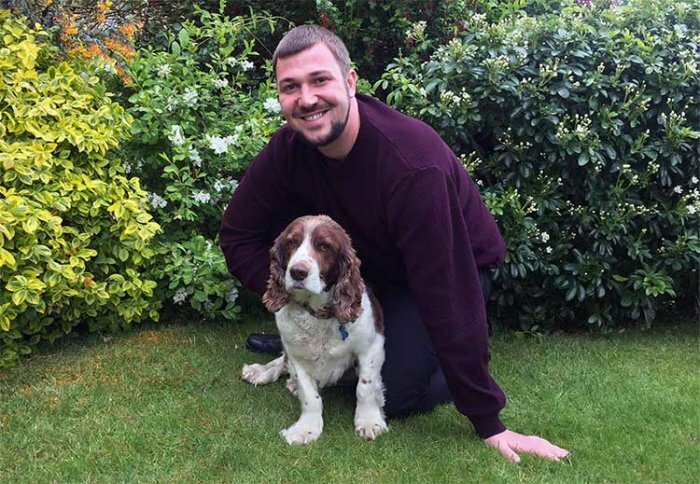 I am a dog lover myself, and have my own Springer Spaniel called Raffa. I love him dearly and he has been a big part of my life for over 10 years. There have been issues along the way so I understand the challenges that dogs can sometimes present us with. I have learnt that calm, consistent leadership is the key to having a well-behaved family dog who still retains his personality and love of life. 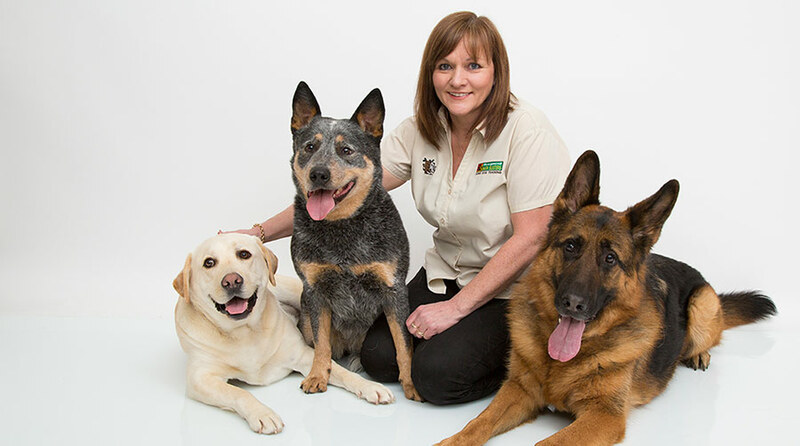 I always had ambitions to work with dogs and, before joining the Bark Busters team, I studied Animal Behaviour for 12 months and also started my own small business as a dog walker. I also love working with people and have worked for some time in the care profession. This role helped me develop skills that I believe are invaluable when helping dog owners to learn the techniques for bringing their dog’s behaviour under control. It also built upon my patience and problem-solving skills. Our techniques are easy to learn, use and incorporate into your daily life. However, I fully understand that people (and dogs) learn in different ways and at different speeds. I am confident that my teaching skills and understanding of dog behaviour problems will help you on the road to a better relationship with your pet. I'm very fortunate to live in such a beautiful part of the country. It is a pleasure to drive through the stunning countryside from Penzance to Newquay, to Truro, Plymouth, Falmouth, St. Austell and the beautiful villages and towns in between, visiting owners and their dogs in their homes. As I also come away knowing that I have managed to improve communication between dog and owner, this really is my dream job. I never judge people or criticise any ‘mistakes’ made with your dog. I know that I would once have done very similar. Whatever the problem, from aggression, separation anxiety, sibling rivalry, excessive barking, destructive behaviour, toileting, through to poor recall, pulling on the lead, or any other behavioural issue that you need help with, I am sure that I can teach you a better way to communicate with your dog so that these problems melt away. Also, if you have a puppy, I can help you with all the stages of puppy training from toilet training through to recall as your puppy grows. Our lessons take place at your home at a time to suit you. I will listen to you and observe whilst you tell me about any concerns. Then I will explain to you how to effectively communicate through voice tone and body language and to ensure you have all the tools to proceed. I will then show and guide you through various exercises tailored to your specific needs and, once our first lesson is over, I will leave you with written instruction and information to help you with your training. You also have my written guarantee that I will return to help and support you as needed for the duration of our support guarantee. Simply practicing the techniques, I show you for 10 to 15 minutes can bring a lasting change in your dog's behaviour. You have the added assurance that I will always be accommodating and I won’t ask you to do things anything that we consider unreasonable. You can also rest assured that our system is kind, effective and long lasting and I will never use force on your dog; hands are for petting and praising only. Our system is based on voice tone and body language so that it is as easy as can be for your dog to understand. We have been using our unique system successfully for over 28 years and so we know that our approach produces amazing results. If you would like to find out more, don’t hesitate to call for a no-obligation chat about my services. I hope to meet you and your beloved dogs very soon.